The practice of Correctional Medicine has many strange differences from medicine outside the walls. It took me a couple of years to get comfortable with the various aspects of providing medical care to incarcerated inmates. Of all of these differences, one that stands out in importance is the fact that many seemingly benign medications are abused in correctional settings. Of course, the Drug Enforcement Agency (DEA) has established a list of drugs known to have potential for abuse and even addiction. The DEA even ranks these drugs according to the severity of this risk. Schedule I drugs carry the most risk, followed by Schedule II, and so on, all the way down to Schedule V, which are thought to have the least risk. However, the drugs that we are talking about here are not on the DEA’s list. These are medications that are not abused (or, at least, not thought to be abused) in mainstream medical settings. But these drugs are, in fact, abused and diverted in jails and prisons. The reasons for this are somewhat complex, but in my mind, it boils down to this: These are drugs that have psychoactive effects that mimic, to some degree, the effects of the drugs on the DEA Schedules. If you are addicted, or even if you just like to get high once in a while, and you can’t obtain your preferred drugs of abuse because you are incarcerated, these are the drugs that can serve as an alternative in a pinch. It is critically important for medical professionals in corrections to know which seemingly benign drugs have the potential to be abused and diverted. Even if a particular inmate doesn’t care about getting high himself, he can still profit by selling these drugs to others who are. Vulnerable inmates can be (and are) bullied into obtaining these drugs for distribution–if we make them available. Like all correctional physicians, I myself have wrestled with the problems these drugs cause. Some have little therapeutic value and so are not such a big problem—I just don’t prescribe them. Others do have value but fortunately also have easy substitutes (therapeutic equivalents) that have less risk of abuse. But some drugs that are commonly abused in prisons are real problems because they have definite medicinal value and no ready substitutes. In these cases, practitioners have to weigh the expected benefits of this drug against its potential for abuse, diversion and harm. It is not always an easy decision! But before we practitioners can make an informed decision about any such prescriptions, we have to know how the risks of many common medications are magnified in correctional settings. This JailMedicine post categorizes the drugs that have abuse potential behind bars. I have divided the drugs with abuse potential into categories based on their primary psychoactive effect. Some are sedatives. Some are stimulants. Some are mainly sought because of they can produce euphoria, so I am going to call them the “Euphorics.” Of course, some drugs have multiple effects. Trazadone, for example, can be either a sedative or a euphoric, depending on how it is used. Not all drugs have equivalent abuse potential and so, like the DEA, I have assigned each of these drugs according to its risk. The risk for a particular drug also can vary depending on the particular correctional facility you happen to be in. You might be having major problems with a drug in your facility that has not presented much of a hassle in my jails! My chart also lists two other relevant facts: Does the drug have significant legitimate medical value? Does the drug have a ready substitute with less abuse potential? I have NOT listed exactly how each drug is abused. Some methods are quite creative. I do not want to turn this into a “How-To” educational forum! If you find yourself scratching your head and wondering, “How in the world can that be abused?” you certainly may email me for the details that I do not want to list in a public forum. Remember that no DEA scheduled drugs are listed here (with three special exceptions)—only those drugs that tend to be considered “benign” in outside medicine, but are commonly abused in correctional facilities. The Sedatives. The sedatives are drugs obtained primarily for their sedative effects. 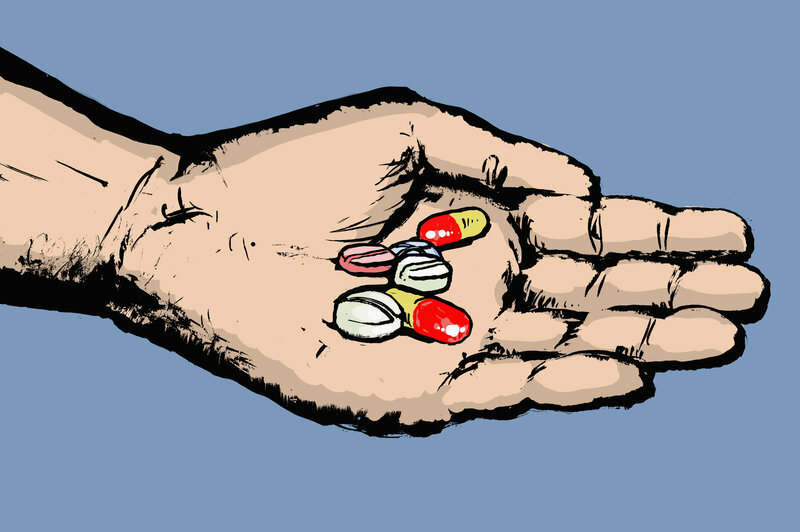 These are drugs commonly sought—and prescribed—as sleeping aids. On the outside, controlled substances such as zolpidem (Ambien) or benzodiazepines are more commonly used as sleeping aids. In the correctional setting, the following drugs are sought after as substitute sleeping aids. Trazodone. Abuse potential HIGH (+++). Trazodone can be used as a sleeping pill or as a euphoric. It has especially high black market value in correctional settings. Trazodone is a poor antidepressant and can easily be replaced with other, better antidepressants that have much less abuse potential. It should rarely be prescribed. Quetiapine (Seroquel). Abuse potential HIGH (+++). Seroquel is an good anti-psychotic, but Zyprexa, Risperdal, Abilify and others all have less abuse potential. Seroquel used solely as a sleeping agent can often be recognized by small doses (50-100mg) prescribed only at night. Skeletal Muscle Relaxers. Abuse potential (++). Despite the name, SMRs do not relax skeletal muscle. They are sedatives only. See my discussion here. Their use should be uncommon, prescribed for acute muscular conditions only, and limited to 7 days or less. Mirtazepine (Remeron). Abuse potential (++) Remeron is a sedating antidepressant–so sedating, in fact, that it works as a sleeping pill. There are many other antidepressants with less abuse potential. Amitriptylline (Elavil). Abuse potential (++). Amitriptylline is the most sedating of the cyclic antidepressants. Many other cyclic antidepressants are less sedating and so have less abuse potential. Doxepine. Abuse potential (+). Doxepine is sedating due to high anticholinergic properties. Its high anticholinergic properties mean it can also be abused as a psychedelic drug, as well. Many other cyclic antidepressants have less abuse potential. Clonidine. Abuse potential (+). Clonidine is commonly prescribed as a treatment for nightmares, but since it is sedating, it may be sought as a sleeper. Clonidine is an essential drug for opioid withdrawal. It is not an appropriate hypertension medication. The Stimulants. The stimulants are drugs can mimic the effects of street stimulants like methamphetamine. Pseudoephedrine. Abuse potential (++). Pseudoephedrine and the other decongestants are all poor cold medications. Many better medications for nasal complaints are available and so decongestants rarely need be prescribed. Gabapentin (Neurontin). Abuse potential HIGH (+++). Gabapentin is commonly prescribed off label for neuropathic pain and other chronic pain syndromes. It unfortunately is often not recognized as a potential drug of abuse in the medical community at large. Duloxetine (Cymbalta) has been shown to be a superior drug for use in treating neuropathic pain. Gabapentin is the single biggest problem drug of abuse in many correctional systems. See my discussion here. Trazodone. Abuse potential HIGH (+++). Depending on how it is abused, trazodone can be primarily sedating or primarily euphoric. Trazadone is a poor antidepressant and can easily be replaced with many others. Bupropion (Wellbutrin). Abuse potential HIGH (+++). Wellbutrin is an antidepressant with many acceptable substitutes such as venlafaxine (Effexor) and duloxetine (Cymbalta). Due to its high abuse potential, it should be rarely used. Loperamide (Imodium). Abuse potential (++). Imodium is a commonly prescribed diarrheal treatment with opioid receptor activity. Imodium’s abuse potential should be considered when prescribing it, especially since most cases of mild diarrhea do not need any treatment. Here is a news article about loperamide abuse. Venlafaxine (Effexor). Abuse potential (+). Effexor is an antidepressant with many substitutes such as Cymbalta and the SSRIs. Venlafaxine is not abused in all facilities. Topiramate (Topamax). Abuse potential (++). Topamax has legitimate use as as a seizure drug. When sought illegitimately, it is usually requested as a psychiatric drug or headache medication. Carbamazepine (Tegretol). Abuse potential (+). Carbamazepine has legitimate use as a seizure drug and a Bipolar drug but is a second or third tier drug for both indications. Better substitutes are available for both uses. Psychedelics. The drugs abused for their psychedelic, sensorium altering effects are mainly drugs with anticholinergic effects. You know how goofy you feel after you take Benadryl? That’s what we are talking about. First generation antihistamines. This includes all of the following medications: Benadryl (diphenhydramine), Vistaril (hydroxyzine), Chlorpheniramine (CTM), benztropine (Cogentin), and trihexyphenidyl (Artane). Abuse potential (++). Cogentin and Artane have legitimate use as treatments for dystonia caused by antipsychotics. The other first generation antihistamines are commonly used for allergic symptoms. However, second generation antihistamines such as loratidine (Claritin) and cetirizine (Zyrtec) have less abuse potential and often can be substituted. Oxybutynin (Ditropan). Abuse potential (++). This is a drug commonly prescribed for overactive bladder symptoms, but is desired for its anticholinergic effects. Don’t underestimate this drug! One can get quite intoxicated on oxybutynin. The potential for drug seeking should be considered for atypical patients seeking this drug. Diciclomine (Bentyl). Abuse potential (++). Bentyl is prescribed for Irritable Bowel Syndrome and abdominal cramps, but achieves its antispasmodic effects as an anticholinergic. The risk for abuse often outweighs the potential benefit of this drug. If Bentyl is used, it should be short term. Dextromethorphan (DM). Abuse potential HIGH (+++). Unlike the other medications in this list, Dextromethorphan has dissociative, hallucinogenic properties that are not due to anticholinergic effects. DM is commonly abused in the community. It is available OTC as a cough suppressant, but its actual effect on cough is minimal. DM should not be prescribed nor should DM be available on commissary due to its high abuse potential and minimal legitimate effect. Non-mood altering agents. These medications are abused for reasons other than their psychiatric effects. Psyllium powder. Abuse potential HIGH (+++). Packaged psyllium powder can be molded into a hardened shank. Since many benign fiber products available, psyllium should not be used in jails or prisons. Lactulose. Abuse potential (+). Lactulose is used as a sweetener for illicit prison liquor. It is an essential drug for those few who have hepatic encephalopathy. It should not be prescribed to anyone else–there are too many other, better treatments for constipation. Most cases of constipation need no therapy at all. Stimulant laxatives. Abuse potential (++). Stimulant laxatives can be abused as a weight loss tool and can be quickly habituating. Non-stimulant laxatives are preferable in most cases. Controlled substances: Three medications deserve special mention because it is sometimes not known that these drugs are DEA controlled substances. Tramadol. Abuse potential HIGH (+++). Tramadol is DEA schedule IV. It is still commonly believed that Tramadol is not a narcotic (it is) and that it is not addictive (it is). In fact, in my experience, acute tramadol withdrawal tends to be more severe than withdrawal from many other narcotics. Pregabalin (Lyrica). Abuse potential HIGH (+++). Lyrica is DEA schedule V. There is little difference (in my opinion) between Lyrica and gabapentin in both use for neuropathic pain or for abuse potential. Carisoprodol (Soma). Abuse potential HIGH (+++). Soma is DEA schedule IV. All skeletal muscle relaxers have abuse potential, but Soma is the worst and should not normally be prescribed in correctional settings. As always, the opinions presented here are mine and mine alone. Remember that I could be wrong! If you disagree, please comment and say why! Have you had problems with any drugs in your facility that I have not listed here? Please comment! This entry was posted in Drug Evaluations, Drugs of Abuse, Inmate issues, Jail culture, Pharmacy, Uncategorized and tagged Abuse, Antidepressant, correctional medicine, drugs, evidence based medicine, inmates, jail medicine, pharmacy practice, prisons on April 14, 2017 by Jeffrey Keller MD. Excellent post! As you start saying, when we start working at prison environment we are very naive, we don’t know how creative an inmate can be. We have to be very careful at time of prescribing and also like in your other post we need to say NO. I know its hard and take some like you said “verbal jiu jitsu” but everyday practice make us better. Another drug we can add to this list is Bentyl (Dyciclomide) label as an GI “antispasmodic” for IBS but is simple anticholinergic drug antagonizes acetylcholine at muscarinic receptors at CNS with potential abuse due anticholinergic toxicity in high dose. They will use anything jut to get a little high. Thanks, Dr. Llorens! Good call. I will add Bentyl to the anticholinergic list. This is an excellent post. Many of us may not have realized that some of these meds have an abuse potential. All facilities and providers should be aware of these drugs and include them in their Clinical Guideline protocols for ready reference. With your permission, I’m going to start passing this list to providers when I visit them. Thanks, Dr.Llorens. Of course I give permission! That’s the point of the post–to get the word out. I’ve been reading your blog for over a year now, Dr. Keller, and I find it very useful. I’d love it if you could send me the details of how these drugs are abused, as you stated above. I’d like to share that information with my staff at our county jail in Boston. Thanks! I will do that, James, as soon as I finish a sharable spreadsheet. The two most common methods of abuse are 1. saving up pills and taking a big overdose or 2. crushing and snorting the medication. I can answer more specifically if you are interested in one specific drug. This is an excellent list of meds to avoid in jail, i am going to forward this article right now to all of our providers. Just today while walking into the jail I was stopped by one of our County Attorneys asking me to come speak to all the rest of the Attorney’s Office for a question and answer session about jail medical policy. What he really wanted to know is why we do not allow Seroquel in jail and other meds. They have been questioned about it from inmates at court complaining that the jail will not allow them to have their outside prescription meds while staying in jail. He wanted to know why we stop them. I told him I just received an article in my email today that deals with the very topic he was asking me about. Thanks for the well written article and all the excellent posts that you regularly share with all of us working in Corrections. What alternative to Seroquel are you utlizing in your facility for those that took it prior to incarceration? If the Seroquel was prescribed as a sleeping aid, I may not continue it long term. If the Seroquel was prescribed appropriately, and I choose to substitute something with less abuse potential, olanzapine (Zyprexa) and risperidone (Risperdal) are both good choices. I’ve worked in corrections for 19yrs as a RN. I’ve caught hundreds of inmates diverting they’re prescribed medications. The biggest medications are on the list but several other popular diverted medications I find are surmontil, suboxone, and shockingly Tylenol/Motrin. Excellent article to highlight my daily problems with being an issuer of these prescribed medications. The unfortunate part I find with the prescribing MD’s/psychiatrist is chronic re-ordering of these medications with patients that have already been caught diverting. I find, out of experience, that it will continue to occur once reordered. Absolutely, Jamie. If there are no consequences of diverting, there is no reason not to divert. That is a classic mistake, IMO, not to have some type of disciplinary action spelled out for those caught diverting. In many cases, the patient does not really need the medication being diverted, so it should be stopped. Nice consolidation of concise information Dr. Keller, thank you. OTC dextromethorphan containing products or DXM, especially Robitussin DM syrup and equivalents are also prone to abuse in and out of corrections and could be added to the psychedelic list. Gabapentin will become a schedule 5 controlled substance in the Commonwealth of Kentucky on July 1st. Excellent catch, Stefan! Dextromethorphan indeed should be listed. I will add it. Thanks for such a great article Dr. Keller. In FL we seen Lactulose being used as a sweetener for prison alcohol as well as to make shanks. Thanks, Juan! I’ll add lactulose to the list . . .
Sir: a great post. A small correction: you mention Effexor (venlafaxine) as an alternative to itself. Also, you seem to spell it Trazadone, although given you capitalise it, it may be the proprietary name over the Pond. We usually spell it trazodone. Also, anything that goes for trazodone goes for its little brother nefazodone. 1) Temazepam. Widely prescribed in the U.K. for sleep disorders, it is fortunately falling out of favour in favour of the z-drugs (on which more below). There is a dangerous dynamic that can emerge with the use of ‘temmies’ or ‘temazy’ as a sort of night time reward for good behaviour. It is difficult as a MH lawyer to have to intervene into that dynamic once a doctor or nurse has let themselves be made the instrument of it! I know you covered it under benzodiazepines, but because it has a strong sedative/soporific effect but relatively low anxiolytic use and a long half-life, it is atypical enough that most people don’t think of its diversion risks as a benzo. 2) Z-drugs: zolpidem, zaleplon, etc. These have been seen as less addictive alternatives to temazepam for sleep. A lot of people in custody (= the earliest stage of their time inside the criminal justice system) happen to have legitimate prescriptions, many going back years, to the point that they cannot achieve natural sleep. But at the same time, diversion risk is great. A wise old jail doc told us never to judge diversion risk by whether we can imagine the person as a drug dealer. ‘Involuntary diversion’, aka ‘give me your drugs or I’ll shank you’, happens, and the well-behaved middle class detainee/prisoner whom one would normally not think of as a diversion risk might be at a higher risk of having his drugs end up abused than some of the detainees that look a little more rough around the edges. Never judge a book by its cover! Thank you for catching my typos and mis-spellings, Chris! They are fixed now. No matter how many times I reread these posts, I don’t seem to catch all the mistakes. Your comments about Temazepam and zolpidem et. al. are right on. I did not include them in this list because in the US, both are FDA schedule IV controlled substances. I think based on your comments, I should add them to the controlled substances worthy of special consideration. I like your description of “involuntary diversion!” With you permission, I will use that term myself in the future. This is “SUPER EXCELLENT ” EDUCATIONAL INFORMATION for the people who are working as a provider in prizon or jail. I travel to many jails and noticed the abuse of N-SAIDS. The drugs become a sort of currency for purchasing commissary or extra food. There was a comment made that we should greet every new intake with a “welcome to jail” bag containing antihistamines, Ibuprofen or tylenol, a sleep medication and a medicine for anxiety and depression since almost all of them request these medications frequently. Great article! I would like to share this with the medical director of my correctional facility. I would also like to incorporate it as a reference pertaining to medications that will not continue upon incarceration & also for medications that will not be initiated during incarceration. I’m curious about your thoughts regarding promethazine (phenergan). We offer that drug, for a short period of time, during the withdrawal process. We recently had an inmate complaining of nausea related to her migraines request phenergan. It was ultimately ordered for her. I found this inmate going from an occasional, once a month migraine, to having one daily. I looked up phenergan & discovered it does have a potential of abuse. Since my discovery her ordered was discontinued & she was placed on B6. Thanks for the comment, Cindy! Phenergan is an antihistamine, and like all antihistamines (say Benadryl) has psycho-active effects that some patients like. Ondansetron (Zofran) is an effective medication for nausea that has much less abuse potential. Reading through your list I see many of these medications given to many of our inmates – either by BHS or their provider. It is frustrating to see, as we know of the risk of abuse. We put crush orders on anyone caught cheeking or diverting, but I am beginning to think all at risk of abuse should be crushed regardless of whether or not the inmate has been caught diverting. Dr. Keller, thank you for the fabulous article. I’ve worked in a large county jail for about 10 years now. It seems I am in a constant debate with my colleagues about abused substances in correctional facilities. No one believed Ditropan (Oxybutynin) could be abused. One medication you may want to add to your extensive list is Minipress (Prazosin). I am an expert in PTSD and have used Prazosin for night terrors with great success. Unfortunately, as with all good things, it is highly abused, just like Clonidine. Inmates in my facility call Prazosin “Dream Catchers.” You know you have a successful medication when it gets a nickname. Sadly, because a few were found hoarding the Prazosin, the medication has been removed from our formulary. One last medication we had to remove from the formulary was “Icy/Hot” sports cream. It was on ou formulary for about 3 weeks before being removed. Seems if spread thinly on paper and dried, it can be smoked. The result is a euphoric type sensation from the menthol which can last 10 to 20 minutes. Thanks again for the fabulous information you provided. As clinicians working with a very different patient population, we must remain one step ahead of everything. At least all the hours we spent in organic and biochemistry are paying off. If I learn anymore tips I’ll pass them on. Thank you Howard! I also have recently become aware of Prazosin abuse. I had NOT heard about Icy/Hot being smoked! Thank you very much! Is there any way you could give me more information regarding the use of Topamax as a medication for diversion and abuse? I have some suspicious requests asking for Topamax by name for “migraine medication” and I am trying to figure out the draw of this particular medication to let other providers know. Any info would be greatly appreciated. Topamax is indeed diverted and abused by some patients. It is not a good “migraine” medication, so you are correct to be suspicious of it. Thank you for this very important and needed website. Do you know if Strattera is abused in corrections? We have a significant number of inmates requesting it which always makes me suspicious. Thank you! Hi Cheryl, I myself have never had a problem with Strattera in my facilities. In fact, I don’t think that anyone has asked for it. So I cannot explain why it is so popular where you are! Thank you for this post. I am a Psychiatric Physician Assistant and have worked at 3 county jails over the last 10 years. I have seen many of the medications you have listed, diverted over the years. One medication we have found at two of my local facilities that was being diverted is buspirone (BuSpar). Inmates crush and snort it. We have taken it off of our formulary. Prazosin is asked for frequently for “night terrors” from XYZ. Topiramate now has approval for Nightmares in PTSD and I have used it with efficacy but that too is often asked for by many especially female inmates. FYI, There was a small study and paper done by a psychiatrist and his residents at the Salem, VA VAMC in the use of risperidone (Risperdal) for PTSD/nightmares in combat veterans. We now “crush and float” all of our meds. I am tough on inmates if they are caught diverting medications. My rule of thumb is if they refuse for 3 days or divert they lose all medications from psychiatry and put on psychiatric emergency consult only. Also if I find inmates asking for specific medications or coming up with exactly the same symptoms my suspicions are raised. I now tell inmates that if I get too many requests for the same medication they are at risk of it going off the formulary. If folks open a Tide Pod and snort it, they will do anything to get high. I’m following up cases in correctional facilities and as a precaution to avoid drug abuse of medications we prescribe, would you agree that crushing and dissolving of Seroquel tablets is a good idea?. That might be against pharmaceutical recommendations, more rapid onset, lesser bioavailability and might be irritant to stomach without the coat, but will decrease the potential for abuse. Your posts, ostensibly helpful to practitioners in your vocation seemed to drip with one-sided power craving, knowledge boasting discourse, that while informative, should be a standard requisite for all those entrusted to such an enormous responsibility demanded of staff charged with the healthcare of inmates. These inmates, largely not convicted of a crime yet, are entirely reliant on an autocratic system to diagnose, subjectively assess and render essentially all treatment from triage to discharge. The tone of this thread left me with the following impression: Most of the clinicians time is limited to prescribing scrutiny, with clearly dominant emphasis on abuse/diversion prevention, suggesting very thorough pharmacologic considerations as paramount. I see the value to this as a necessary protocol but hope that it augments the institution’s overall medical department; my experience suggests a guinea pig paradigm which leaves the truly ill inmate in life-threatening peril. I hope I never see the inside of a jail again and I hope and pray for prison reform that will address many issues including the appropriate prescribing of medications. I believe that the abuse/diversion problem must be controlled without risk of inmate medication neglect but rather a comprehensive system that ensures safe,competent health care as well. Please excuse the spelling. As a side note, one post should learn “PRIZON” is not the way to spell your workplace! I would be interested to know where oxcarbazepine falls in the potential for abuse of all drugs on watch take we hand out more of it than anything else. Lately several inmates have had their levels checked and been found to have zero levels so now we liquefy their dose. What could the inmate population be hoping to gain from diverting this type of drug? Abuse potential education seems to be limited. I would stay to ask our MD but he is never in to well after my night shift ends. Oxcaarbazepine certainly has the potential for drug seeking and abuse, in my experience. In the spectrum of drugs sought in the correctional system, it probably falls well below Seroquel and gabapentin but above Keppra and Dilantin. My question for you is this: Why was the oxcarbazepine prescribed to those patients who had drug levels of zero? Why not discontinue it or change it rather than liquefy it? I work in the prison system in the UK. I wanted to ask you if the prisoners have in-possession medication in America or is it all supervised? If you do have in-possession medication, have you seen or thought of a way for the inmates to keep the medication safe i.e. lock box in their room (this then highlights a security issues as can store contraband etc. in lock boxes? Is there a feasible and reasonable way that inmates who want to keep their tradable medication to them self and not fear being bullied by peers for them? After doing research in my current jail. The percentage of people who actually pass random meds check is currently 18%. Now obviously not all those that failed had them “pinched” from their possession and most certainly commonly abused meds such as trazadone and mirtazapine have been sold as “sleepers” on the wings. But for those people who genuinely get bullied for their medication or do in fact get them stolen what is the alternative measure to help them apart from to put them not in-possession and supervise them daily? If you have any ideas I would greatly appreciate it. Thanks Bez! I would like to answer this question in detail on JailMedicine–coming soon! I can’t speak for all prisons but the ones I have worked in we have some medications that are KOP, keep on person, things like lisinopril, metoprolol, some antibiotics, meloxicam, acetaminophen, ibuprofen, metformin, etc. Then we have all psych meds including sedatives like trazodone, mirtazapine, Seroquel, diphenhydramine, etc. which are W/T, watch take, meaning an officer needs to visualize that the medication was taken along with several others that can be abused I.e. gabapentin, bentyl, Benadryl, etc. Then based on facility we have different rules like C&F, or crush and float (crush medication then place in medication cup with water) these don’t taste very good and can sometimes cause irritation to the esophagus, and sometimes inmates will refuse to take it that way in which case they will not get it from me, but we do have medical staff who will bend the rules and give it to them straight, about the only thing that I push extremely hard for inmates to take are antibiotics and sometimes psych meds but if they don’t want their medications I just file the reports and chart the refusals. All gabapentin and bentyl along with most controlled substances, i.e. narcotics get crushed and floated. Also all muscle relaxers are W/T as well. Like most nurses in corrections I get asked to bend the rules a lot but I don’t ever give in I know its a slippery slope and do my best to stay on top of the changes to orders in our facility and make sure to provide the best necessary medical care I can every day and over time it does get you respect in your facility.